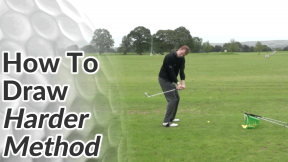 I’ve covered two different methods for hitting a draw shot in golf. 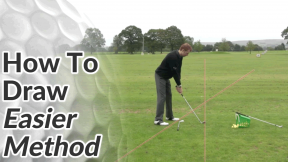 The method below is generally easier for most golfers. 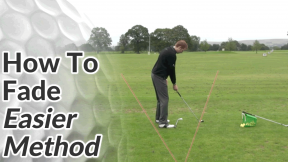 In my opinion, it doesn’t offer as much control or workability as the better player version but it’s a good way to understand how your set up and alignment can significantly affect the flight of the ball. Recent data from launch monitors and high speed cameras proves that a golfer’s swing path and club face angle at impact, has a different affect on the golf ball than was traditionally taught by most teaching professionals. Without going into detail here, rest assured that the instructions below are based on this improved understanding of ball flights in golf. 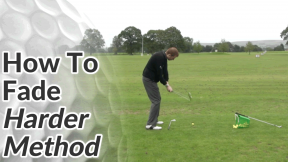 I think you’ll find this method easier to work with and more consistent compared to older shot-shaping methods. 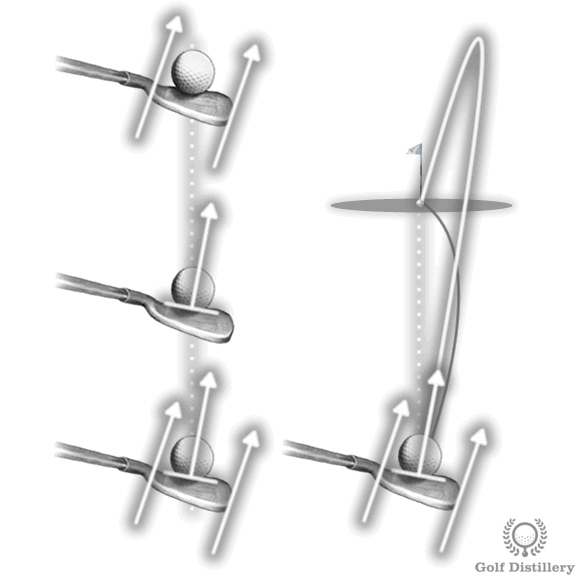 If you would like more details on this topic please see this explanation of the new vs old ball flight laws. Set up so that the club face is aiming slightly to the right of your target. 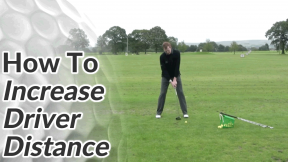 Aim your feet, hips and shoulders further to the right than the club face (this will, in effect, give the club face a closed position in relation to the swing path, imparting draw spin on the golf ball). 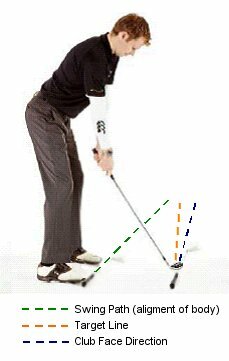 Swing along the line of your feet, hips and shoulders, starting the ball out right and allowing the closed club face to curve it back left.